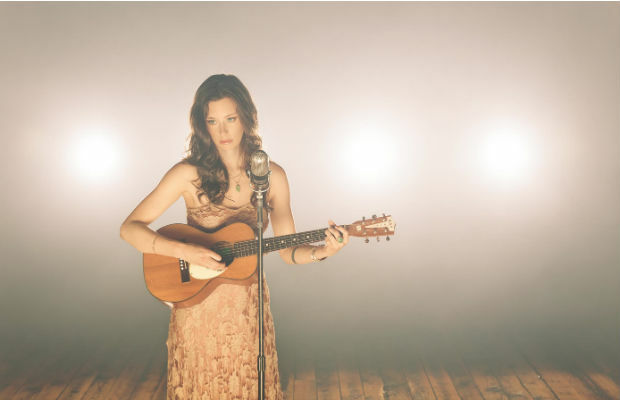 Catch Lera Lynn with Brian Whelan at 3rd & Lindsley This Saturday night! It’s safe to say that Nashville is never in a shortage of Americana shows, and this weekend is no exception. Local singer-songwriter Lera Lynn is sure to charm listeners with her silky voice at 3rd & Lindsley, the perfect venue for this kind of music, this Saturday night with LA-based pop-rocker Brian Whelan as support. Tickets are only $15 and are available online and at the door, so read on for a full preview and don’t find yourself without any plans. When the first trailer for True Detective season 2 came out earlier this year, did you find yourself wondering who was singing the haunting song that narrated the video? Well, that was Lera Lynn. The Georgia native and current Nashville resident teamed up with renowned producer T Bone Burnett last year to record songs for the soundtrack, but she’s not just the voice of the hit show’s music; she was also cast as the sultry bar singer where Vince Vaughn and Colin Farrell’s characters met many times. But now that we’ve made the TD connection, let’s talk about her original music. Described as a “post-Americana” artist, her sound is still mostly comprised of mid-tempo tunes with an obvious affinity for the pedal steel, though she definitely has the capability to rock out (check out her awesome cover of TV On The Radio’s “Wolf Like Me” here). She’s still riding the waves of her latest release, The Avenues, which was highly praised by NPR’s All Things Considered and American Songwriter. Check out “Standing On The Moon” from it below, and head on out to 3rd & Lindsley to pretend she’s serenading you at The Black Rose. Formerly a guitar player and backing singer for country music star Dwight Yoakam, Brian Whelan struck out on his own earlier this year to record an album of what he calls “power-pop rock ‘n’ roll”. Said album is still currently under construction, but his debut release in 2012, Decider, includes the song “Everything”, an acoustic pop tune that was featured on the show Nashville back in 2013. Watch the acoustic version of the bluesy song “Nickel & Dime” below, and get there early to see his set. Lera Lynn and Brian Whelan will perform Saturday at 3rd & Lindsley. The show is all ages, begins at 8pm (doors at 6pm), and tickets are available for $15.